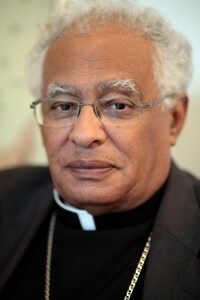 A Catholic bishop in Sudan has warned of a possible new genocide in the country. In an interview with Catholic charity Aid to the Church in Need (ACN), Bishop Macram Max Gassis of El Obeid Diocese warned of further problems in South Kordofan, on the border between north and south Sudan, where there has been fierce fighting since the beginning of June. Fighting in Sudan’s north-south border state of South Kordofan started on June 6, when the north Sudanese army attacked the state capital, Kadugli, carrying out airstrikes near there and Kauda. Among the targets were Christian churches and parish centers – one Protestant minister was killed. 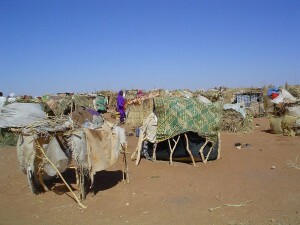 According to the United Nations, at least 60,000 people have fled the bombing in the region. The bishop explained that the Nuba people, who are regarded by the north as second-class citizens, are among those hardest hit – both Muslims and Christians. 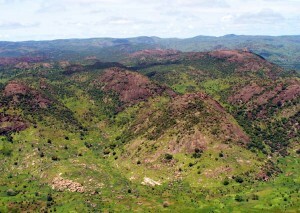 Many in the oil-rich Nuba Mountains in South Kordofan expressed the view that they should be part of the new country of South Sudan. The south of Sudan voted by an overwhelming majority for independence from the north, and will officially become an independent nation on July 9, 2011. During Sudan’s 1983-2005 civil war, the Nuba people fought on the side of the Sudanese People’s Liberation Army/Movement, which still controls the region. While both the north Sudanese army and the SPLA entered into negotiations to cease hostilities on Thursday, June 16, after nearly two weeks of ongoing fighting, there are fears that conflict may continue. One of the causes of the recent violence was an attempt by the north Sudanese army to disarm SPLA forces in the region, following a demand that troops be withdrawn. Together with Abyei and Blue Nile, South Kordofan is one of three frontier regions between north and south whose status has still not been settled following January’s referendum. The governor of South Kordofan, Ahmed Mohammad Haroun, is currently being sought by the international criminal court, on charges of war crimes and crimes against humanity in Darfur.